Outdoor units have IR cameras with night vision. There is a choice of 16 various ringing sounds. Included connection cables seem too short. 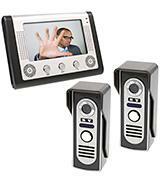 It is a superb video intercom system for the safe surveillance of your entrance door and potential visitors. It is possible to label the communication channels for their easy identification. The range of communication is not that wide. 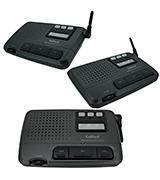 This wonderful wireless intercom system allows spreading a wide communication network at your home or in the office. 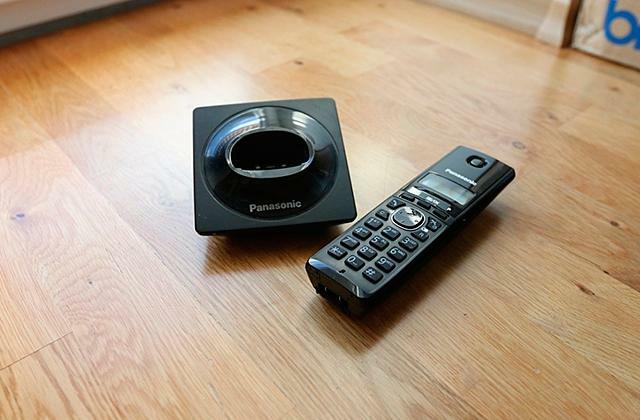 The intercom system provides a crystal clear sound. It has special indicators for different statuses. The sound might be distorted if there are concrete walls between the stations. 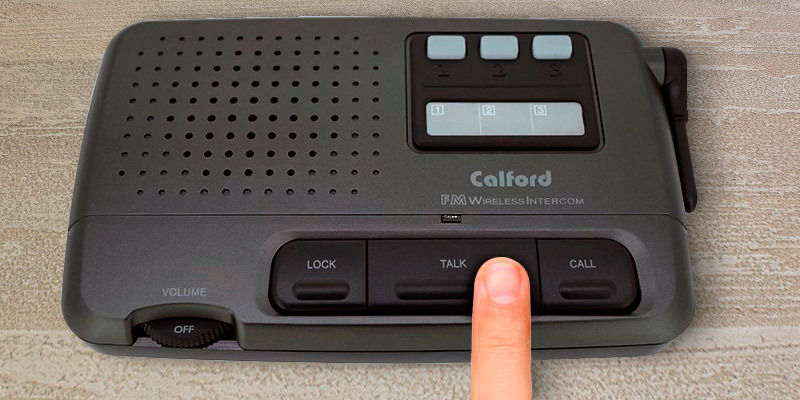 The advantage of this intercom system is the function of a conference call involving any number of users. The intercom stations are weather-resistant. Every replacement of batteries requires a station disassembly. 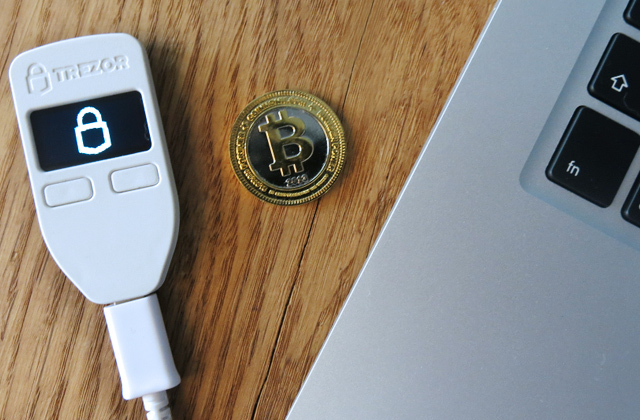 A pretty simple device that provides a good quality communication. It is easily installed and it's perfect for outdoor use. This system will automatically shut off in 20 seconds after the signal. The electrical lock should be purchased additionally. This intercom system enables communication with visitors prior to letting them in. We have inspected all functions of Docooler system and discovered that its unique advantage is the possibility of video monitoring. 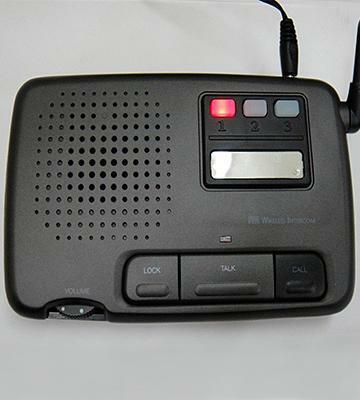 The intercom system itself consists of one base station with LCD screen, which serves as a receiver, and two outdoor units equipped with cameras. It allows seeing a visitor and talking with him or her through the intercom before unlocking the door. The size of TFT/LCD screen on the base station makes 7 inches, ensuring clear visibility of the visitor in good quality and contrast. The screen has the resolution of 480x234 and the aspect ratio of 16:9. The viewing angle makes 92 degrees. 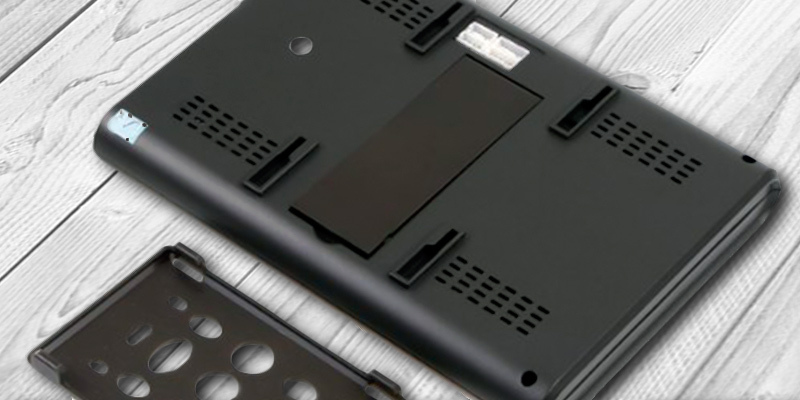 The case material is ABS plastics and aluminum alloy. Control knobs on the right side of the case are used to adjust the brightness, contrast, and loudness of the base station. What's more, the IR cameras have the feature of night vision. You will clearly see anyone even in the darkness. It is a hardwired system, consequently, in order to connect its components, you have to drill extra holes in walls. The quality of signal transmission is very good and there are no external interferences; so you will vividly see and perfectly hear your counterpart. The system components are connected with the 4-core cable. The outdoor units with IR cameras are mounted directly on a wall and the base station can be either placed on any horizontal surface or attached to a wall for convenient access and space saving. We believe it might be one of the best available intercom systems today, allowing voice communication with incoming visitors. And do not be afraid about potential problems of assembly and installation, they are not that hard. We recommend purchasing an electric lock control for your door in addition to the intercom system so that you could unlock it remotely. 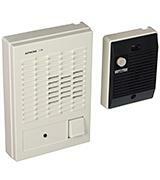 The Generic Home Intercom is a great system assuring a reliable communication between its components. 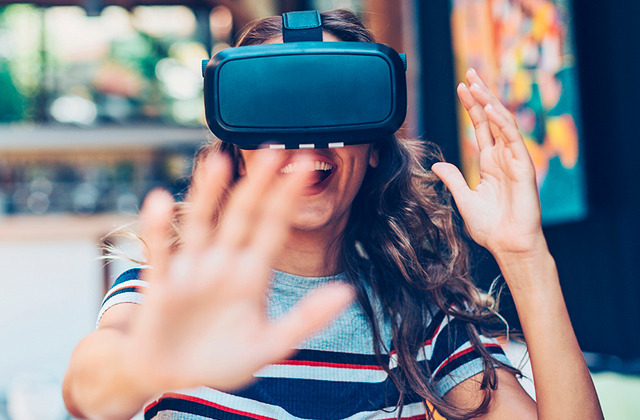 It allows for enhancement with an unlimited number of additional units and setting connection via three independent channels. The buttons 1, 2 and 3 on the unit are used exactly for selection of one of the channels. Having chosen a specific channel, you can call any station by pressing the Call button. And all that channel buttons are illuminated when pressed. The Talk buttons are really big and easy to press, hence are extremely convenient. You can also lock the Talk button for continuous hand-free conversations. 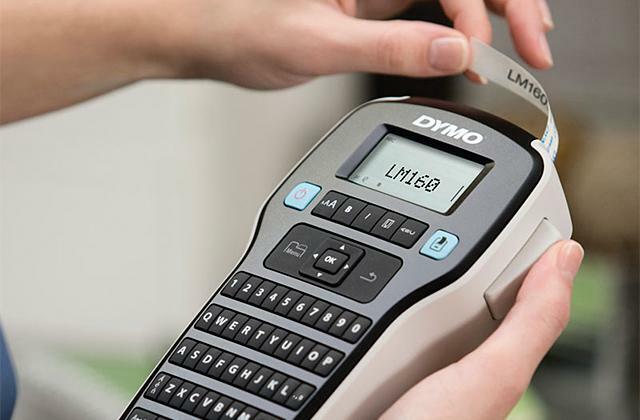 On top of that, the system differs from its competitors by providing an option of the station labeling for their easy identification. To start using this intercom system, you should only switch base stations to power sources and tune communication channels. The communication between intercom units uses the frequency of 462 MHz, so you always have a clear and steady connection. It should be mentioned that the stations maintain a reliable connection in the distance up to 200 feet. You have to take into account this limitation while planning points of installation for them. But the communication range might substantially decrease if there are any walls between the units of this intercom system. We also have to admit that the units have special hooks on the rear, allowing for a wall mounting. All in all, we may definitely state that the system is perfect for communication between individuals located in distant rooms or premises. So this intercom system can simplify remote communication and fast information exchange if used for the office work. We advise you to look through our best door chimes and bells review in which you may find a wonderful door bell model for your house. This intercom system includes two stations and transmitters communicating with each other. 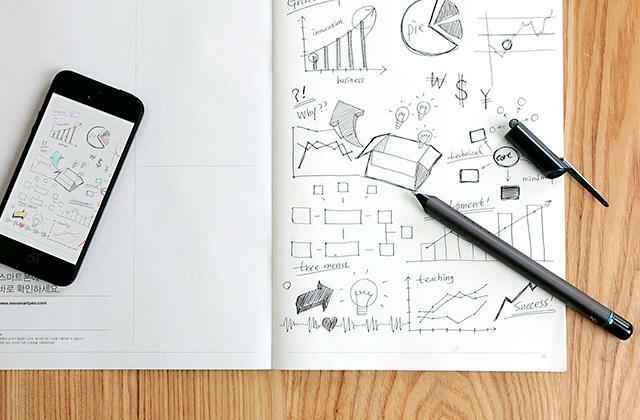 But if you wish to add new elements into the network and expand it, you might be pleased with the information that the producer of this system, Chamberlain, has foreseen an option of its expansion anytime. It is compatible with models NDIS, NTD2, and NLS1. Chamberlain NLS2 represents a wireless system, so you will never have any troubles installing it. 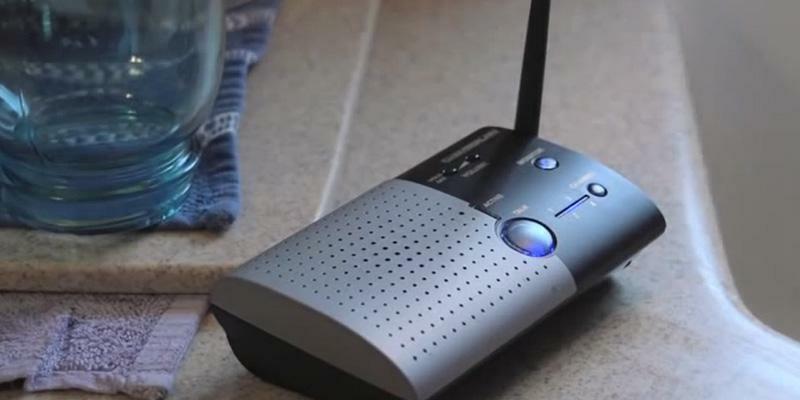 Just put base stations in appropriate places to be connected with the intercom system and tune them to the common channel following a simple setting procedure. 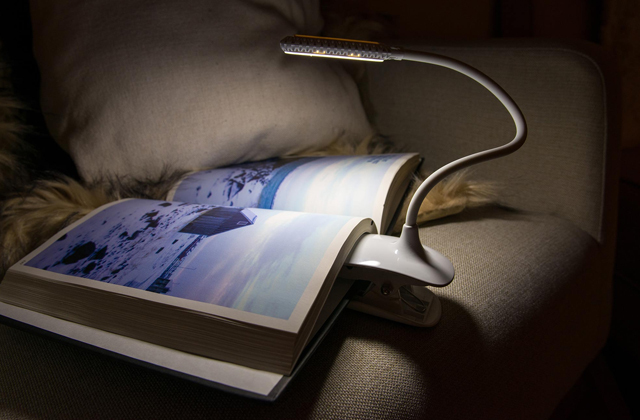 The system may be placed on any flat surface or mounted on a wall. To avoid sliding of base stations on slippery surfaces, the set includes special rubber tips fixed on the station’s bottom. The maximum distance for communication between intercom units equals 1,000 feet. It is an extreme distance for intercom systems and only a few alternative systems have this feature. Choosing places for installation of the stations, you should remember that walls and other partitions significantly affect the signal quality and communication range. This very intercom system has a convenient function of monitoring which is one of its main benefits. This function allows monitoring situation in a room where the base station is located. With a press of the Monitor button, you will hear every sound on any other device tuned to the same channel. To deactivate this function, you should only press the Talk button. Our point of view is that this system provides a great possibility of long-distance communication between its users. And an option to expand the system with new stations might be relevant for those planning the growth of communication network. Moreover, the paging function allows you to call all stations in the vicinity and then speak to the responding station privately. 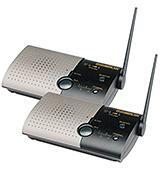 If you are one of those who desire to expand the intercom system, we recommend you to buy Chamberlain NLS1 station which is fully compatible with NLS2. After comprehensive research of the NTD 2 intercom system, we've found out that its major advantage is simplicity of installation and set-up. The system consists of two intercom units, one of which is an outdoor station and the other is an indoor one. Such layout allows comfy communication with a visitor. 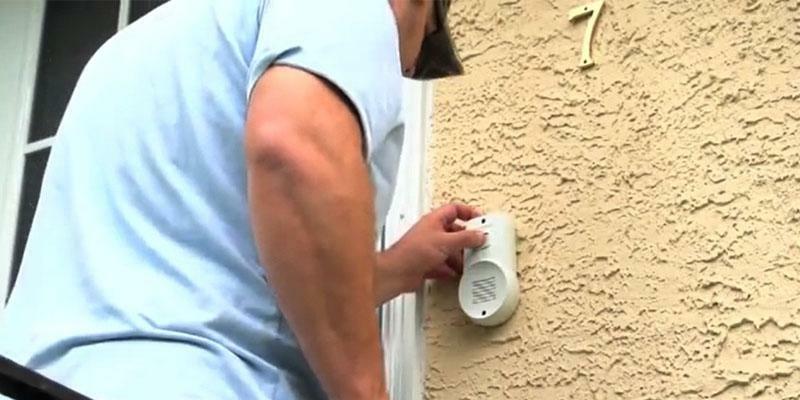 You will know exactly who is ringing your door bell. 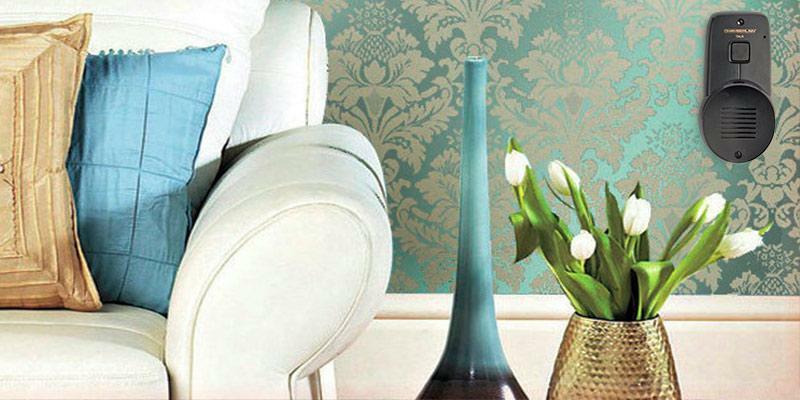 The internal unit can be easily attached to the wall with a double-sided adhesive band. If you want to fix it more firmly, there are special holes for this purpose on the back side. The set includes all the necessary hardware. We suggest screwing the back side to the wall first and assembling the unit afterwards. Do not forget to put batteries inside or you will have to re-assemble it once again. Set-up of the NTD 2 is done by four switches. The first switch activates the Call Mode for communication between different units of the system. You should remember that to make the sound louder, the fourth switch must be in the upper position. The sensitivity of the microphone is adjusted by the second switch. The third one is reserved for potential expansion of system functions in the future. 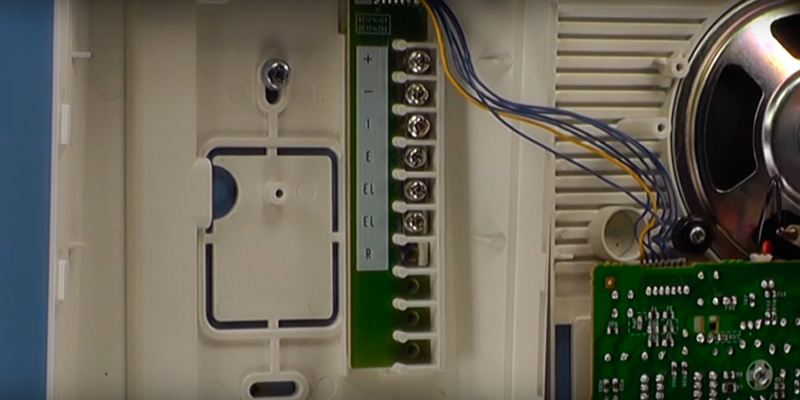 To make the intercom station resistant to various weather conditions, its body has been thoughtfully designed with all essential components hidden inside. This way you can use this station outdoors and worry not it might be damaged by rain or snow. The protective cover of the speaker prevents raindrops from leaking inside and ensures a long useful life of the device. The system is powered by 4 regular AA batteries. When batteries discharge, the system gives a warning sound. We highly assess weather protection of the system and consider it the best among similar products. 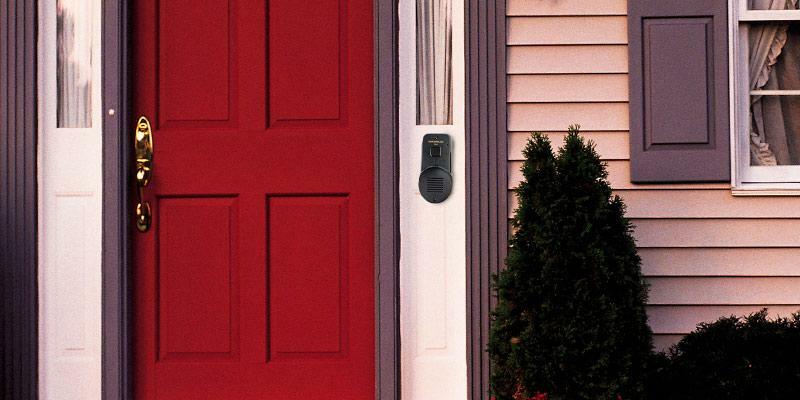 This intercom system may have no multiple additional functions but it does its job perfectly well when it comes to establishing communication with visitors at your door. If you wish to link all premises of your house into one network, we propose you to purchase the 4-room Wireless Intercom System additionally. 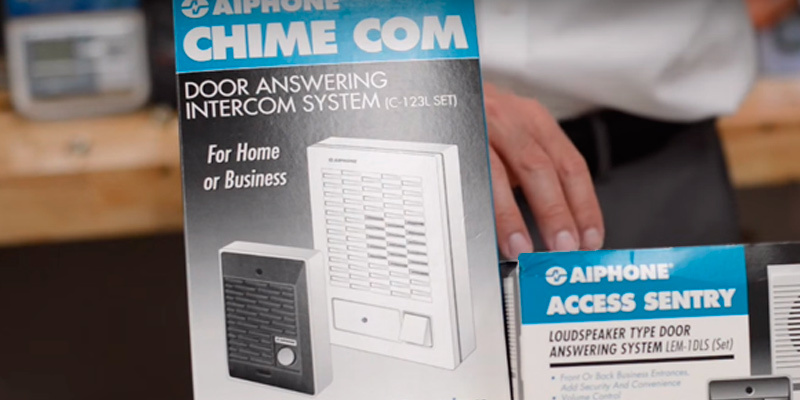 The Aiphone C-123L/A intercom system simply provides communication with a visitor staying at your entrance door. We would like to stress that it has a relatively convenient control. The elements are connected with wires and the system itself demands almost no effort to be installed. It is also possible to add an electronic lock to the system and open/close the door by pressing the relevant button on the system’s control panel. 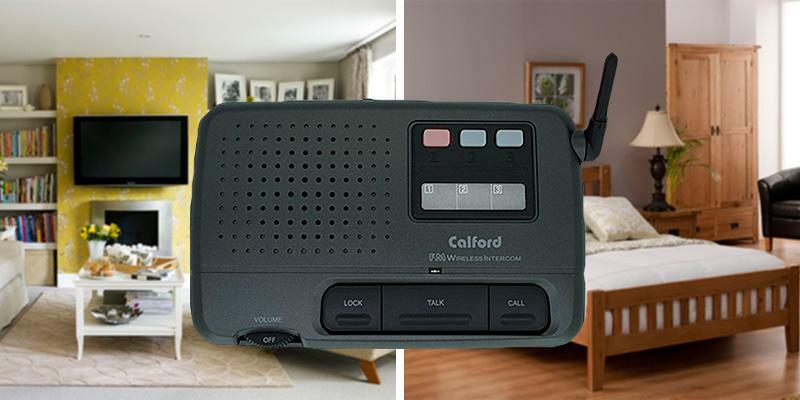 To make a call, it’s enough for your visitor to press a single button on the outside unit and a two-tone signal will be transmitted to the indoor unit, alerting you of a guest. No need to read manuals to make out how the system works. Everything is pretty simple and literally lays on the surface. To talk to your guest, you need to hold a button while if there’s you who’d like to speak, the button should be released. The moment the conversation has come to the end, the intercom system switches off in 20 min time automatically. Aiphone was founded in 1948 in Nagoya, Japan. The company started to work on its first Aiphone home intercom device in 1951. 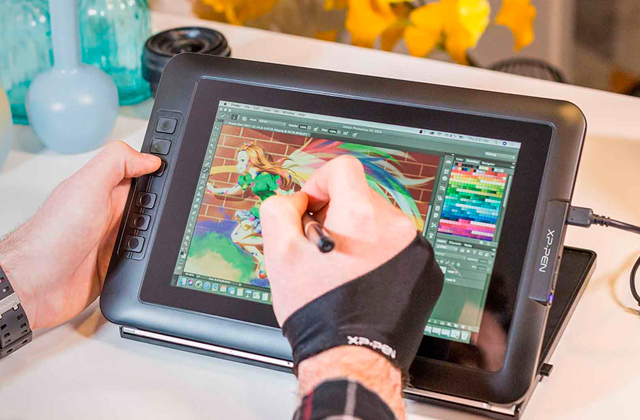 Three years after, the company registered its trademark for international sales. Since 1970 it has been exporting its goods to the USA. In 1981 Aiphone already held the first place among intercom producers in the USA and received the top Deming price for the quality control. 12 years later it obtained ISO 9001 certification. Through the years of existence, the company has managed to become a world leader in the sphere of manufacturing high-quality intercom systems and hold one of the top positions on the market until now. Having analyzed all the facts, we do believe the Aiphone intercom system is worth trying. It is easy to install and it has all important communication functions consumers may need for comfortable use. Note that if you add an electric lock-control to this system, you will be able not only to talk with a visitor but also open the door. 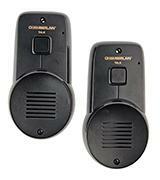 If you want to open the entrance door remotely, we would like to recommend buying an electric door strike remote. An intercom system is an electronic system transmitting audio and video signals between several devices. Its purpose is to ensure security of a house and its residents. Some models have base stations located near the entrance door allowing communication with visitors and sometimes seeing them before taking a decision to open a door. This system may also be used for communication between people of the same building but from different rooms. 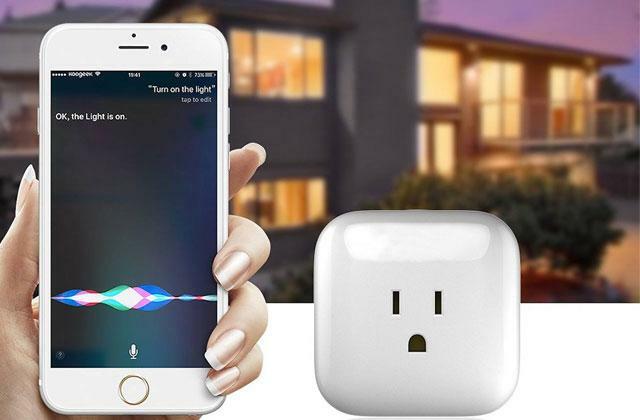 All in all, it's a very simple and affordable device used to establish a voice and video communication in your office or house. 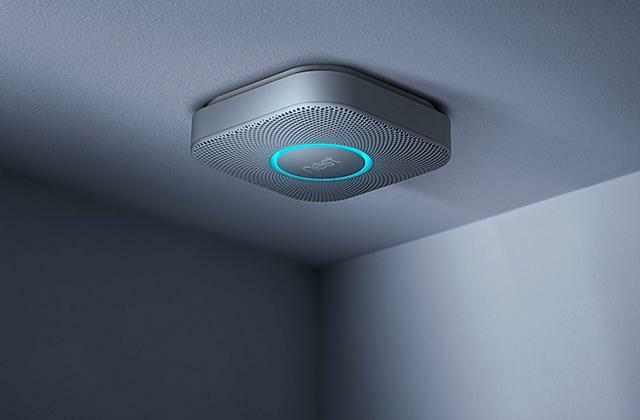 If you'd like to secure your place and be sure of its total safety whether you're there or out, we recommend you to read our other review on most popular home security systems presented on the market. 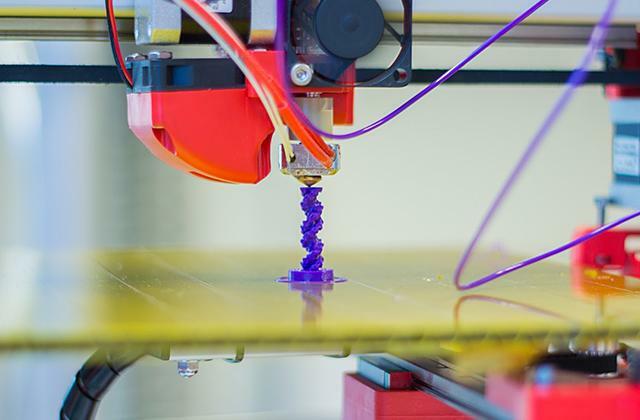 There are all sorts of devices out there, but what differs one from another is a set of available Functions. 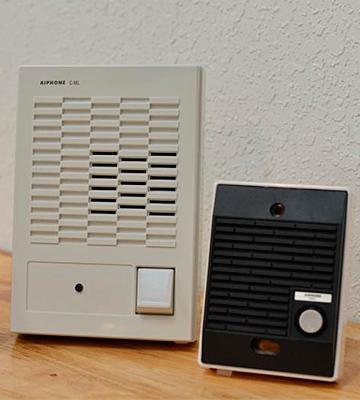 Some intercom systems are pretty simple and their usage is limited to voice communication only. Others come equipped with cams and support video communication. For those users who’d like to not only talk but also see their visitors, the cam would be a necessary accessory. 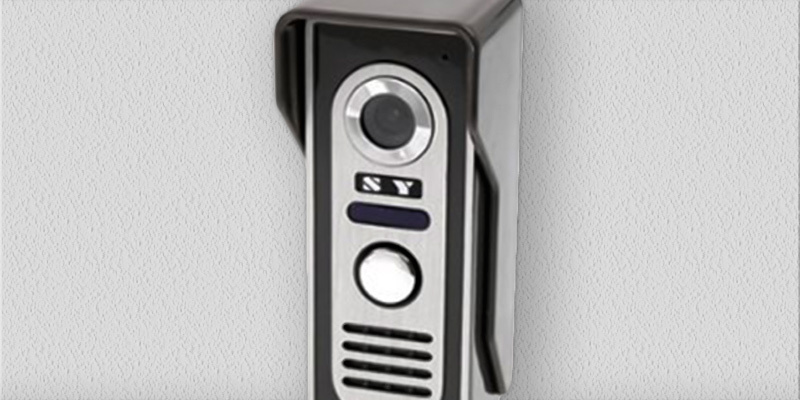 Having chosen an intercom system to communicate with people outside, you might be interested in a function of electric lock control of the entrance door. It is also worth taking into account the number of stations included in the system so as to assess its potential expansion and functional development. There are also some intercom models supporting expansion with additional stations. 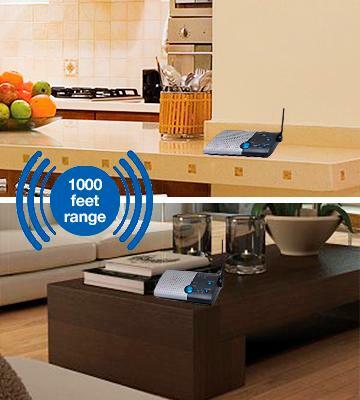 With such stations, you will be able to create a comprehensive communication network in your house or office. You should also carefully study available Connectivity options and Mounting types. This way you could picture where and how to install the system and what benefits it will give. 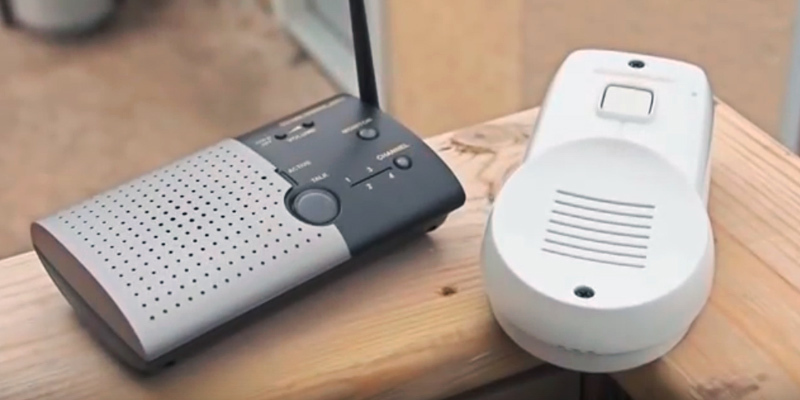 Some intercom systems are wireless and require minimum efforts for assembly and installation - you only have to connect them to the power source and tune to the communication channel. Other intercom devices are wired, i.e. it is mandatory to lay a cable network through walls and connect it to all the stations. It is not that easy, but such systems ensure the best quality of communication and the lowest level of distortion. The market also offers carrier-current intercom systems which must be connected directly to the power wires. The quality of sound is slightly worse than in hardwired systems. The mounting type is also very important and you have to define the locations of all units in advance. Another relevant issue is the maximum distance of communication supported by units of the intercom system. The signal should be reliable and stable. The last but not the least is the Special features of the system. You should be acquainted with all the options of the system you have selected. 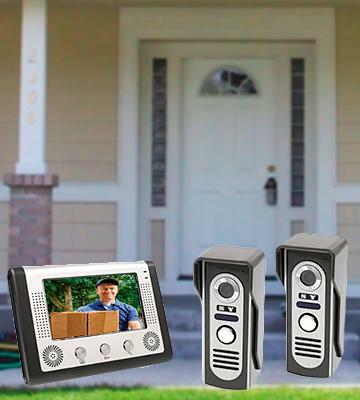 If it is the intercom system with video communication, you have to check whether the camera resolution is sufficient and the screen of the control unit has an appropriate size to show a clear picture. One more useful feature is a possibility to adjust the sound in speakers that must be loud but without extra noise. In case you have chosen the system with several intercom stations, it is advisable to get the one that can change communication channels. Some models feature an assortment of ringing melodies and sounds. 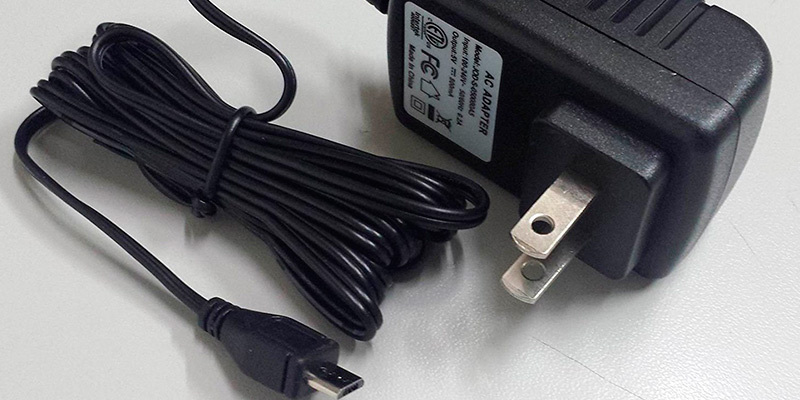 The power source is also substantial. 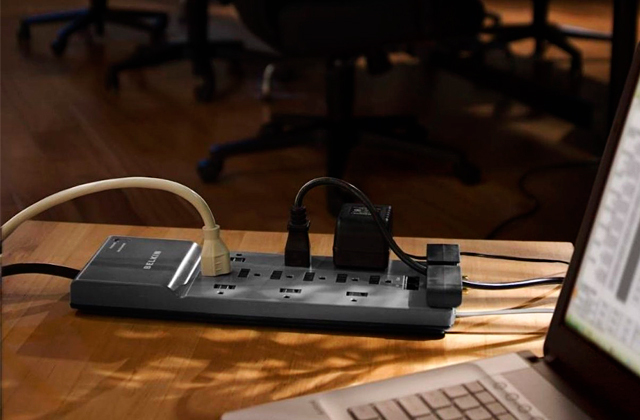 There are some models powered from the network, and it's self-evident that you will need to have a free outlet nearby. 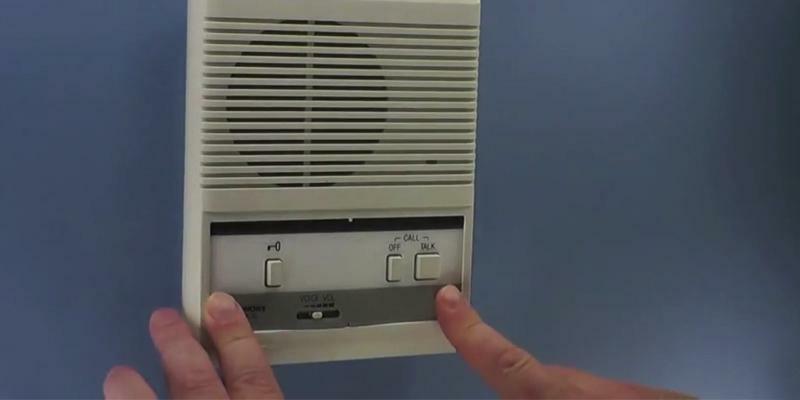 Other intercom stations are battery-powered and you should charge the batteries or replace them regularly. 1. 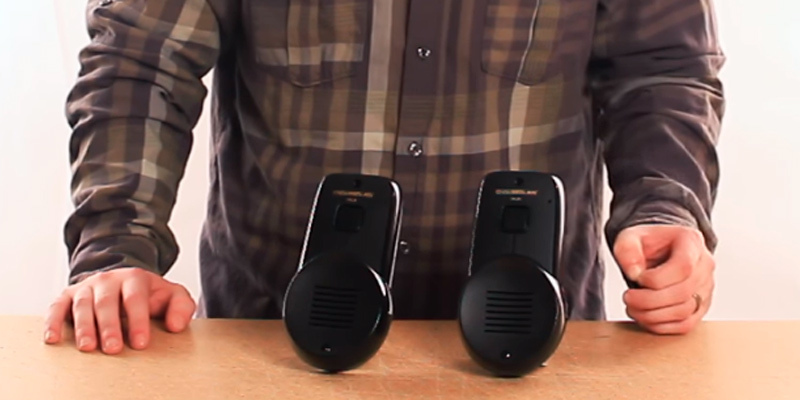 Clinton Whitaker, How to Choose the Perfect Intercom System, Patch. June 5, 2014. 2. What are Some Tips for Choosing the Right Intercom System, Reference. 3. Different Types of Intercom Systems, Skyrock. 5. 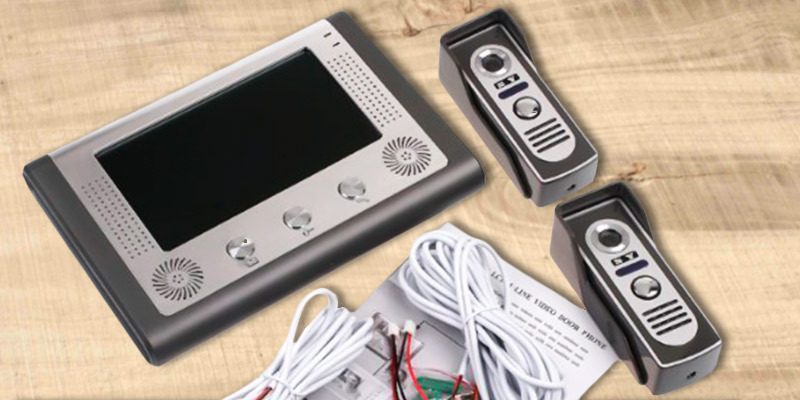 Top 5 Home Intercom Systems, eBay. March 10, 2016.